As stated by AND Services of Tampa, a well known Florida HVAC contractor, the best way to determine what type of repair your air conditioner may need is to have a licensed HVAC technician come out and take a look to see what is going on with the air conditioning system. The technician can run diagnostic tests and give you an estimate as to how much it will cost to fix and the amount of time it will take before your air conditioner is up and running properly again. Remember to ask about a warranty so that you can ensure that you don’t waste your money on repairs that last only a short period of time. In conclusion, no one likes having to deal with air conditioner repairs even though they are an inevitable part of having an air conditioning system. 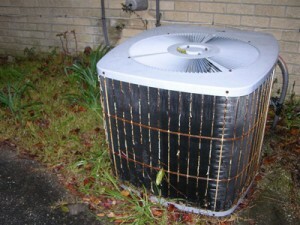 However, a minor air conditioner repair can turn into a major air conditioner repair if you wait too long to have it fixed. As soon as you notice a problem, you should schedule a licensed HVAC technician to visit your home or business and diagnose your air conditioning problems. By doing so you may save time, money and the aggravation of being inconvenienced by a malfunctioning air conditioner.